The Americans dominated on their home turf at the World Mountain Running Association�s (WMRA) World Long Distance Challenge in Manitou Springs, Colorado. The race, held in conjunction with the famous Pikes Peak Ascent and Pike�s Peak marathon, saw competitors from 18 countries compete for the World title. Many of the top runners spent as many as three weeks acclimatizing to the altitude of the race. The race started at the high altitude of 1,938 meters and continued climbing to 4,302 metres. By comparison, Canmore, Alberta is at an altitude of 1,375 meters. Two men and three women represented Canada at the Championships. The women�s team, comprising of Michelle Katchur Roberts, Deborah Russell, and Julie Robb, captured a strong 6th place finish in the team event. Adam Kahtava lead the way for the men with a 57th place result, with Vancouverite Jordan Maynard rounding out the men�s team. 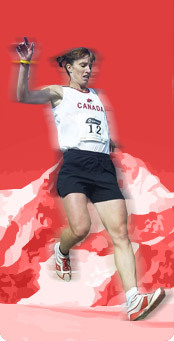 The Canadian men did not have enough men to receive a team ranking. The race, a 13 mile ascent of the towering summit of Pikes Peak, was dominated by the Americans. The American women swept the podium and the team events. The men also won the team event and the individual title with champion Sage Canaday clocking a time of 2:10:03, finishing 44 seconds ahead of his nearest competitor, Azerya Weldemariam of Eritrea. After the race, Kahtava emphasized the central role altitude played during the race. By the end, heavily in oxygen debt, he said that �maintaining balance while trying to just keep moving became the central focus.� He noted that many athletes had specifically trained for the altitude prior to the event, either by training on the race site or by sleeping in hypoxic tents. Check out photos from the event in the photo gallery, and an article on Michelle Katchur Roberts� race from the Canmore newspaper, the Rocky Mountain Outlook.